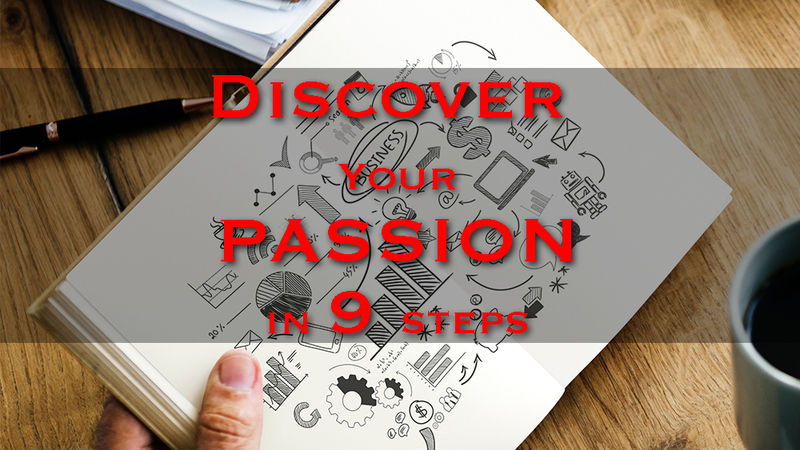 How to discover your passion. That thing that brings you so much fulfillment it puts a smile on your face. Have you lost your way? Are you feeling you have no passion in life? Do you feel there is no purpose in the life you are living? Keep reading this article and I guarantee it will help you find your passion. A passion is something that moves you to feel a sense of purpose and fulfillment. Its a thing we enjoy doing regardless of money or time. That thing you could do for hours and not even realize how long has passed. Think about it, what would you love to do all day if you could? I want you to imagine your most ideal version of tomorrow. If you hit all of your goals and all of your dreams came true this year, what would that day look like? If money was no object, and you have taken your holidays already, what would that day look like? Now write down and describe what would it take to get there. Literally write down that perfect day with as much detail as you can. Now read it to yourself. What do you need to change to be one step closer to your dream day of doing the thing you love? By visualising that day, it will show us what is important, and what we love to do with our time. You have just set a goal, a benchmark or what you deem as success. To every person, success is what YOU deem as success, not what anybody else might say. So now that we have a goal, what are you doing to achieve that goal? How can you start? I love to help people discover the answers to these questions and more. Ask yourself the questions that you need to know the answers to. Hopefully you have now discovered what will make you happier, for by pursuing passions it equals happiness and fulfilment. If you still aren’t sure what your perfect day with total fulfilment would look like then here are 9 steps that will help you discover your passion. 1: What did you do as a child that brought you joy? How might that be adapted to adult life? 2: Brainstorm and really take time to think about what brings you a sense of fulfilment? 3: Try new things and get out of your comfort zone. Try things you think you might like. 4: What have you always dreamt about doing? 5: Talk to somebody , find somebody that will help you find your passion. 6: Prepare to make changes and be open minded to new propositions. 7: What are you good at, sometimes talents and passions go hand in hand. 8: Travel more and open your eyes to your surroundings. 9: Look at your books, magazines, DVD’s, CD’s, Youtube searches, even the things you like to hear about…notice any themes in any of these? Get reading about people whom might inspire you. Maybe your passion is staring you right in the face. I hope this is of help and if there are any further question don’t hesitate to CONTACT ME or comment below, otherwise you can Free Subscribe to my newsletter HERE.